As I wrote in a previous post, attention deficit/hyperactivity disorder is 2 to 4 times more common in boys than in girls and thus often doesn’t get discussed much when it comes to teenage and adolescent girls. In her article Calm Down, Boys, Adolescent Girls Have ADHD Too, Mary Bates discusses how ADHD goes unrecognized in girls because they often don’t present with the stereotypical hyperactivity and attention deficit that boys usually present with and because diagnosing ADHD in itself can prove difficult because teenagers can be impulsive, inattentive and disorganized, but not noticeably hyperactive. Kathleen Nadeau, a clinical psychologist in Silver Spring, Maryland, and coauthor of Understanding Girls with AD/HD states that girls are less likely to be hyperactive and impulsive, but instead may appear “spacey,” unfocused, inattentive, have trouble staying organized and/or remembering directives or homework. It wasn’t too long ago that ADHD was two separate disorders, ADHD and ADD (attention deficit disorder), but now they are almost always diagnosed as ADHD with a sub-type of either predominately attention-deficit, predominately inattentive or combined. Since girls often present with different symptoms, they are often diagnosed five years later than boys or go un-diagnosed altogether, thus missing out on proper treatment for their disorder. “A 16-year-old girl who runs stop signs and can never find her homework might not be a rebel- she could have ADHD” Bates says. 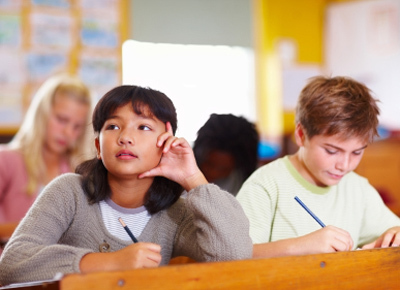 Treatment for ADHD includes stimulant medications, school and family counseling. Families can try ignoring minor annoyances while creating a point or contract system (“Wash the dishes now and I will leave you alone while you play your video games”). ADHD is not a curse, many successful and brilliant people today and in history have ADHD, just look at Michael Phelps. Hi, thanks for your feedback. I have looked at my blog from different computers and browsers before and haven’t encountered any problems, but I will look into it. I definitely want it to be an easy reading experience. If it’s an issue perhaps I could try a different theme? Thanks for letting me know.